The home healthcare, staffing, restaurant and construction industries are under fire from the IRS for failing to comply with the Affordable Care Act. Companies within these industries have been shocked to receive ACA penalty notices from the IRS that they are in the millions of dollars. 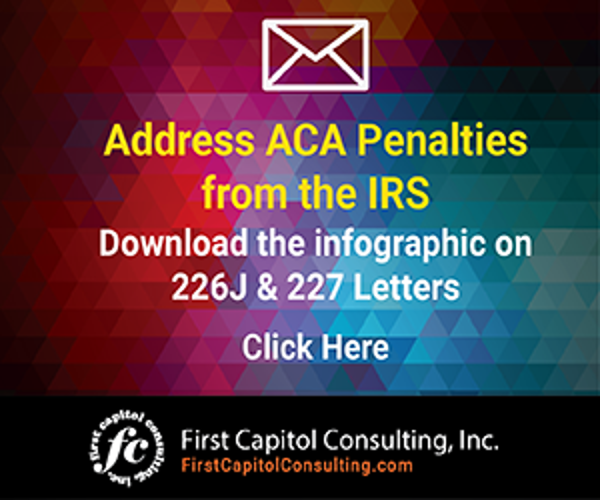 Of course, all types of organizations – school districts, municipal governments, non-profits, other industries – are receiving IRS penalty notices. However, these four industries seem to be getting more than their fair share. • HR is often a non-centralized function, making it challenging to gather the data necessary for compliance. • A high percentage of workers are hourly with varying schedules, making it difficult to determine who is “full time” under the ACA, and required to receive offers of health coverage. • A workforce that disproportionately declines offers of health coverage benefits requires the employer a heavier burden in tracking declinations. • Employees that come and go during the year, and high staff turnover rates, increase the employer’s burden to track all such employees. • Per diem piece work and multiple rates of pay complicate the determination of pay rates and affordability. • Reliance on payroll systems (or other software programs) that collate data and submit 1094-C/1095-C forms often results in a failure to let you know when the data used is inaccurate, which will trigger ACA penalties. Determining the accurate full time/non-full-time status of employees under the ACA is arguably the first, and most important, step for ACA compliance. There are real ramifications for inaccurately classifying employee status. Under the ACA’s Employer Mandate, employers with 50 or more full-time employees and full-time equivalent employees are considered by the IRS to be Applicable Large Employers. These ALEs are required to offer Minimum Essential Coverage to at least 95% of their full-time workforces (and their dependents). The coverage must also meet Minimum Value and be Affordable for the employees or be subject to IRS 4980H penalties. For example, let’s look at the employer that improperly classifies an employee as not full time and does not make an offer of insurance. That employee goes to a government marketplace exchange to purchase health insurance and receives a federal Premium Tax Credit (PTC) that helps to subsidize the cost of the health insurance purchased on the exchange. This can trigger the issuance of an IRS Letter 226J penalty notice under IRC 4980H. The penalty assessment will be applied to every full-time employee working for that employer during the course of the tax year, not just the employee obtaining the PTC. For the 2018 tax year, that penalty could be as high as $231,996 for every 100 employees. The first step in the full-time status evaluation is determining which measurement method is best for your organization is to evaluate the nature of your workforce. For organizations made up primarily of variable-hour employees, you will want to implement the look-back measurement method. If your workforce has mostly full-time employees and non-varying schedules, the monthly measurement will be best. 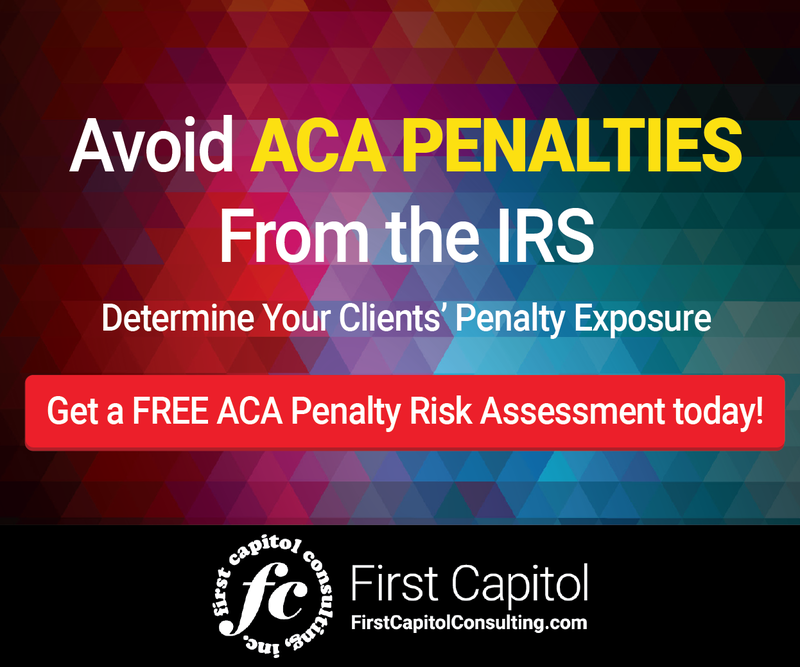 The most expedient step for employers may be to undertake an ACA Penalty Risk Assessment to determine if they are considered to be an ALE by the IRS, and if they are at risk of receiving IRS penalties. Some outside experts may offer to undertake this assessment at no cost. Such a review can reap dividends by helping employers avoid significant ACA penalties from the IRS , particularly if those organizations have not been filing ACA-required information annually with the IRS . These organizations should file this information as soon as possible to avoid receiving an IRS penalty notice and to minimize potential penalties. If you are part of the home healthcare, personnel staffing, restaurant and construction industries, or any industry that relies on a significant mix of full-time and part-time employees, you are at serious risk of being penalized for not complying with the ACA. We see daily how the IRS is getting better at identifying employers that are not complying with the ACA and sending them penalty notices. We regularly see the surprise and shock expressed by organizations that receive these penalty notices, many of them containing significant penalty assessments. 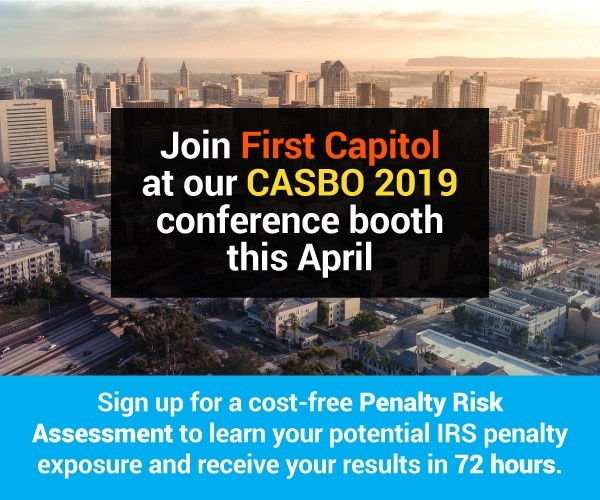 And we also see how these organizations could have avoided these penalty assessments by receiving help from experts that understand ACA and IRS regulatory requirements and know how to successfully meet those regulatory requirements. Don’t be one of those organizations that receives an unwanted penalty notice from the IRS for not complying with the ACA. Gregg Kasubuchi is VP of Sales for First Capitol Consulting.